Joe Dawson, Ryan Hughes, Pat Armour and Michael Perrie wearing the club's new warm-up tops kindly provided by new sponsor Easy Living Developments. ​​Welcome to the Official Web Site for Lochgelly Albert Junior Football Club Limited. This is the only Site authorised to issue information, or make statements on behalf of the Football Club. 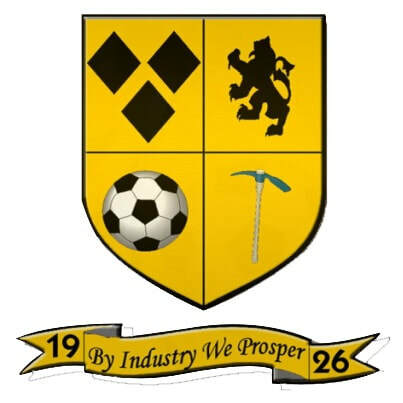 Lochgelly Albert Junior Football Club is managed and administered as a Limited Company, by a Board of Directors, assisted by a Committee of Volunteers. The Team play at Gardiners Park, South Street, Lochgelly, KY5 9LJ, and are currently competing in the McBookie.com South Division. The club is delighted to agree a deal with Macron who will supply our new kit for season 2019-20. The attached image is an illustration of the club’s new home shirt.